Step One: Write Without Barriers; Step Two: Cut, Cut, Cut! Now, unless you keep a diary that’s locked and hidden somewhere very secure – or, I suppose, if you do the same with a manuscript that you never plan to see the light of day – it is nearly impossible to write without worrying about anyone else’s opinion. I have to admit, it was a bit of a trick question. Of course, I have attended workshops with so-called writers who were arrogant enough to think that they could write whatever and however they wanted, and any criticism from their fellow workshoppers was not worth heeding. Which made me wonder why these people signed up to begin with. To bestow their writerly beneficence on other, less gifted souls? Or to receive lots of praise and pats on the back? As you can likely imagine, these writers got a rude awakening when they found out that their prose, in fact, was not a gift from God to the rest of us. And they had a very difficult time ever taking the well-meant critiques and applying them to the manuscripts that they thought were already perfect. Most writers (or those of us who are realistic about our chances of publishing and actually being read) know that we have to quit thinking about ourselves at some point and consider the readers. Of course, these audiences are varied. Some may be very narrow, others broad, even all-encompassing. And though we may hate the idea of “selling out” or writing to be marketable, the fact is that if you write a young adult novel with a 60-year-old narrator – and a cast full of geriatrics with not an adolescent in sight – you likely won’t have many young adult readers. Sure, write that book if it floats your boat, but don’t expect it to find a publisher. There are writers who break the rules because they know what they’re doing, and people applaud them for having the guts to do it – and do it well. There are others who don’t know the rules or ignore them, thinking that rules are for those unfortunate writers who don’t have “it” – you know, that mysterious something that puts some writers on bestseller lists. 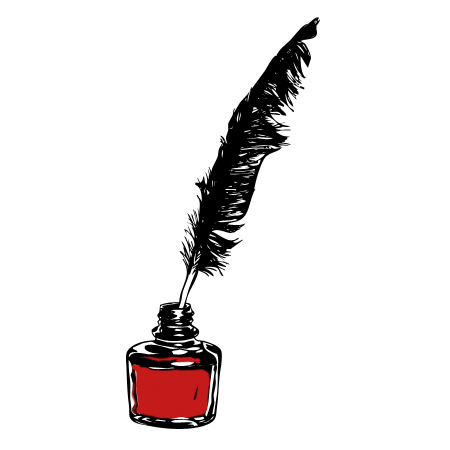 These others – the ones who think that the golden prose that flows from their fingertips should never be sullied by an editor’s red pen – hamper themselves by not moving (or not moving very far, anyway) beyond the first draft. And if you read my post last November about first drafts, you know that they’re necessary, of course, in the writing process, but there is a reason they’re called “first” – you’re supposed to move on to a second and a third and however many it takes to get the job done right. When I wrote my first drafts post, I was a little over a week into NaNoWriMo. (And if you don’t know what that is, read all about it at www.nanowrimo.org – and then participate this November!) During November, I wrote over 80,000 words and edited very little, except for those few times when I needed to go back and re-read something, and I caught an error. I continued writing through December and January and into the first part of February, when I finally wrapped up my novel – at about 148,000 words. I knew it was on the wordy side. With a first draft, you write without barriers; it’s just you and the manuscript. I liken it to writing an email that you never plan to send. If you want to let someone know a piece of your mind, compose an email full of all the vitriol it will hold, but instead of sending it, sleep on it, and you will often find that your original email doesn’t need to be sent at all or can be toned down. The same goes for manuscripts. Much of what authors include in a first draft is backstory or info-dumping that is more for the author’s benefit than any use to the readers. When you start to edit, save your first draft in case you need to go and use some of that info later, but likely, a good portion of it will get cut. In my first draft, my first person narrator contributed all kinds of thoughts and snarky asides that do not belong in the final version. Since the style is largely conversational, I let quite a bit of it pass, even after a couple rounds of edits. I did cut almost 20,000 words, after all, so I felt like my novel was ready to move to the next stage and be dispersed to some beta readers. Then, last weekend, I had an unexpected opportunity. Writer’s Digest was offering what they called a bootcamp with a literary agency, focusing on the first 10 pages of a novel. All I had to do was really polish those first 10 pages and get some professional advice on how to make them even better. When I posted my excuse of a blog last week, I had just sent off the final, revised-again 10 pages to the agent I was working with, and I felt like I had been somewhat mentally flogged. Her first assessment had been short, with one positive: I had a good handle on the language. The negatives: too much dialogue, too long (I had given her the word count for the whole novel), and too much telling instead of showing. Well, crap, I thought. My beta readers haven’t give me any complaints like that (yet). They helped me with pacing and big content issues, but then again, they weren’t pulling a magnifying glass out on the first 10 pages only. My beta readers went in knowing that they were going to finish the book. While I can tell agents all day long that they’ll like it if they just read to the end, they know that prospective readers will likely only read a page or a paragraph or even just the opening line before they decide to buy the book – or not. I won’t say the agent’s comments were a blow, but they were a wake up call. After getting clarification on the negatives, I saw my book through new eyes – someone’s else’s – and realized that there is a lot more work to be done. And since I love a challenge, I’m having a fun time editing – again. So to address my own topic that I presented last week and again at the beginning of this post, the last time I wrote something without caring about what anyone else thinks was when I wrote that first draft – and every time I write a first draft. What a relief to get it all off my chest (or out of my head, as the case may be). And, yes, I need to be true to myself and write the book that I want to write, but sometimes the book that wants to be written needs me to move out of the way a little. I need to quit thinking about what an impact the end of Part One will make and weigh every word up to that point. Maybe some (or a few thousand) of those words need to go. And to paraphrase another agent who was so right (although it’s hard advice to swallow): sometimes that line you keep coming back to – you know, your favorite – is the line that you absolutely must cut. This entry was posted in Writing and tagged Beta Readers, Editing, Elmore Leonard, Manuscript, Writers, Writing, Writing Process. In Zen in the Art of Writing, Ray Bradbury talks about the thrill of the first draft. Then he talks about the torture of editing. I’m glad it’s not torture for you. I don’t think I have a thick enough skin to be involved in a writer’s workshop. I don’t want to murder my darlings. I admire your courage. Good luck with your revisions. You’re brave and more than capable to make your novel what it needs to be. Good luck and keep us posted! Thanks, Dana! I’m working my tail off! Just hope it gets someone’s attention this time.